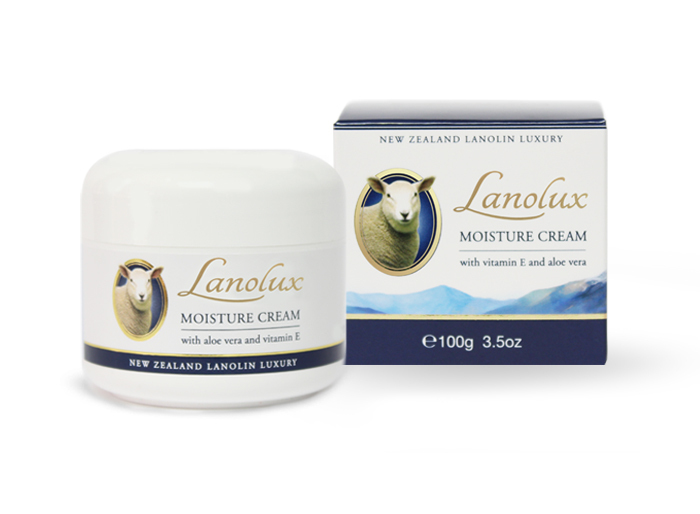 A luxurious and silky cream developed for everyday use, Lanolux Moisture Cream is imbued with the natural emollient properties of New Zealand Lanolin to provide hydration and protection to the skin against the ravages of everyday exposure to the elements. The natural emollient properties of lanolin helps to soften rough patches and works to create a protective barrier to help the skin retain its natural moisture throughout the day. Further boosted with the healing qualities of Aloe Vera for extra hydration and the promotion of skin regeneration, and Vitamin E to help protect the skin from outside elements, this luxurious cream helps keep skin supple and hydrated for longer. This allows the natural beauty of skin to shine through and results in a more youthful, luminous appearance. Apply liberally over body to hydrate, smooth and protect the skin. 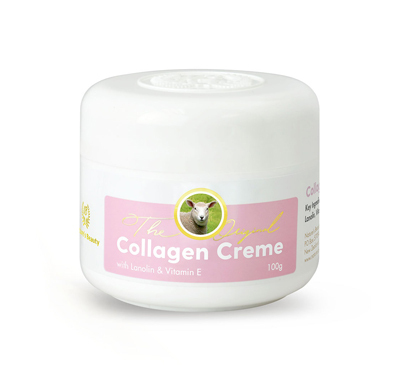 Lanolin is known for its intensive moisturising and protective qualities. 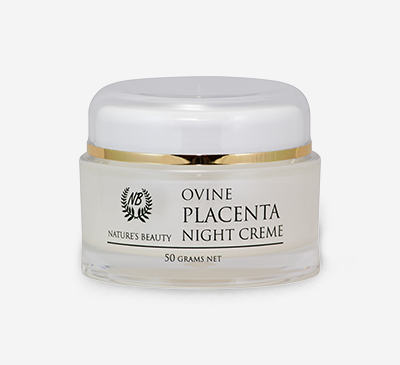 It penetrates the skin deeply to hydrate, while also creating a protective barrier on the skin’s surface to prevent moisture loss while still allowing the skin to breathe. Aloe Vera contains anti-inflammatory and antioxidant properties to promote skin healing and regeneration, and is enriched with essential vitamins and natural enzymes to deeply moisturise and help restore the skin’s balance. Vitamin E is an antioxidant that helps protect the skin against free radical damage caused by pollution and the sun’s radiation, and can help skin retain its natural moisturisers. Aqua (Water), Aloe Barbadensis (Aloe Vera) Gel, Isopropyl Myristate, Paraffinum Liquidum (Mineral Oil), Glycerin, Glyceryl Stearate SE, Lanolin, Cetyl Alcohol, Cetearyl Alcohol, Polysorbate 60, Phenoxyethanol, Tocopheryl Acetate (Vitamin E), Ethylhexylglycerin, Fragrance.